As Official Mo Rated Barbers, the boys decided to grow moustaches and take part in Movember again this year, aiming to raise more money for the charity. Our fundraising attempts have been featured in the local press again, both on Town 102 and in local newspaper the Ipswich Star. We also teamed up with Goals Soccers Centre in Ipswich to offer free wet shaves to kick Movember off with a clean shaven start! 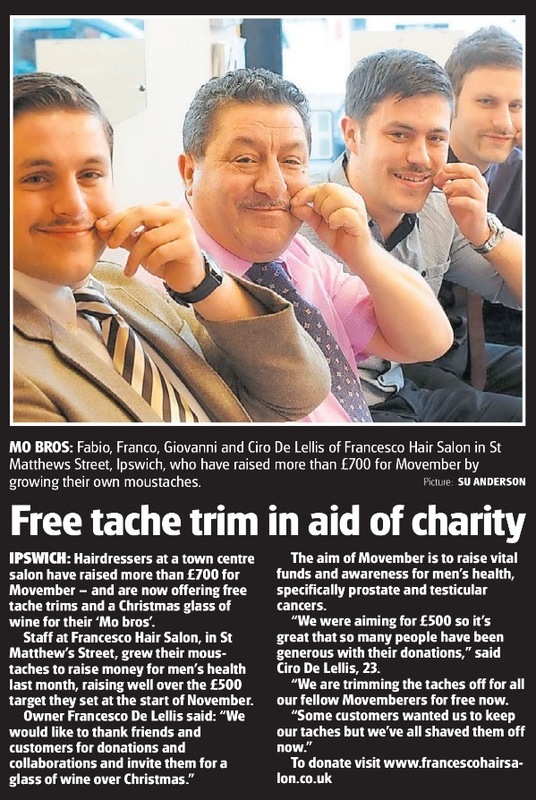 As part of Movember, Franco and the boys grew moustaches to raise vital funds and awareness for men’s health, specifically prostate and testicular cancers. We raised just over £750! 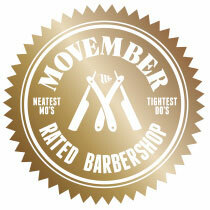 You can still donate by clicking on the Movember logos. Many thanks for your kind support and generosity. 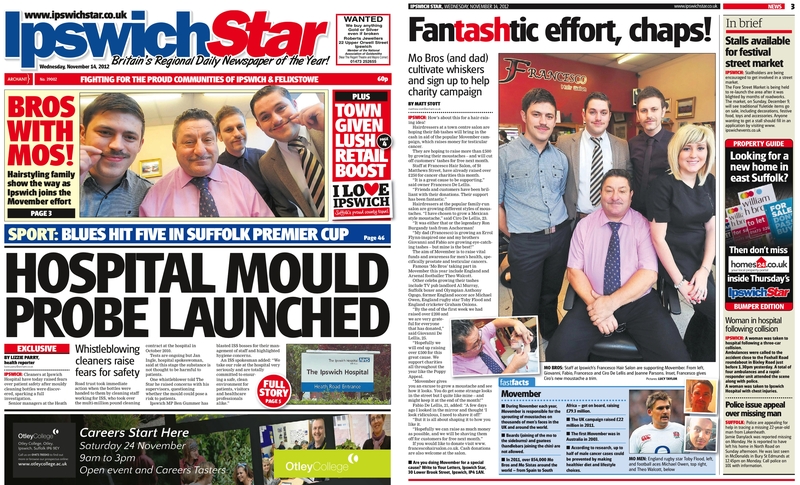 Our fundraising featured as front page news of the ‘Ipswich Star’ on 14th November 2012.